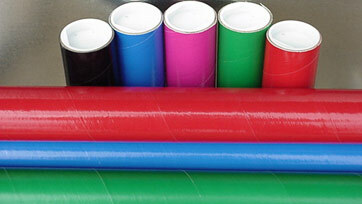 We manufacture paper tubes and specialize in Mailing Tubes. IPT has been family owned and operated since 1935. We continually strive to achieve excellence in value, quality and customer service. Please use our secure online catalog to browse our products and place your order today! Price includes: cost of tubes, plastic plug inserts, shipping charges anywhere in the continental U.S.A. Please call, fax or email us for additional information or to place an order. Please note UPS will not deliver to Post Office Boxes. For special colors or requirements, please call our Sales Department at 1-800-345-0960 (Monday - Friday, 9am - 5pm EST). Please use our secure online catalog to browse our products and place your order today! Copyright © 2001 Industrial Paper Tube, Inc. All rights reserved.